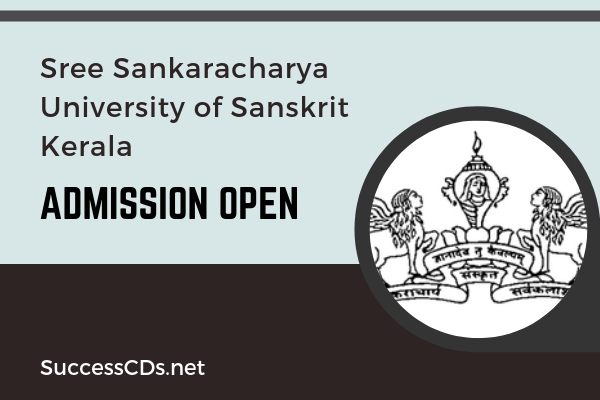 Sree Sankaracharya University (SSU) Kalady M.A MSW PG Diploma Admission 2019 - Online applications are invited from eligible candidates to the following programs for the academic year 2019-20 at the Main Centre and various Regional Centres of Sree Sankaracharya University of Sanskrit, Kalady. Should have passed the bachelor’s Degree in fine arts of any University Recognized by Sree Sankaracharya University of Sanskrit, Kalady with a minimum of 55% marks in aggregate. For admission to the PG Diploma in Translation and Office Proceedings in Hindi Program shall be a Degree in any discipline recognized by this University. Candidates who discontinued P.G.Course shall not be admitted to the P.G.Diploma Program Students who are appearing for their final Degree Exam can also apply. Regional Centre, Thuravoor- Alappuzha Dist. ; Regional Centre, Tirur- Malappuram Dist. ; Regional Centre, Payyannur- Kannur Distt. ; Main Centre, Kalady- Ernakulam Distt.